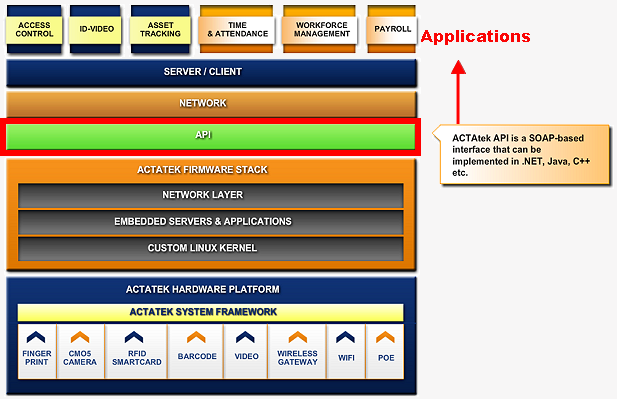 The SOAP API SDK that can be utilized to create middleware interfaces between the ACTAtek series devices ,and the 3rd party’s software. Keeping in mind the goal to permit our customer to build their application software (ex. Access Control, Time Attendance, Payroll, HR, and so on.) around the Jakin ID Management Platform. Software engineers can contact us to request for the essential information of programming's documentation file. 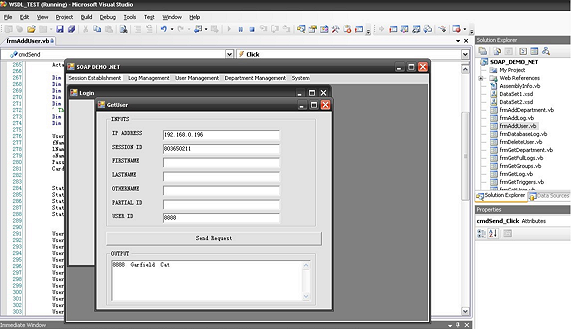 The SOAP/API will contain data on composing applications utilizing its SOAP interface. This likewise contains datatype definitions, WSDL data and test code in Microsoft Visual Basic 6.0, C, Microsoft Visual Basic .Net 2003/2005/2008 and Sun Microsystem's JAVA. SOAP: gives a XML based infrastructure for exchanging organized and typed data between associates in a decentralized, distributed environment. WSDL(Web Service Definition Language (WSDL): WSDL, generally, is a XML record portraying the points of interest of how to call the Web Service it provides.